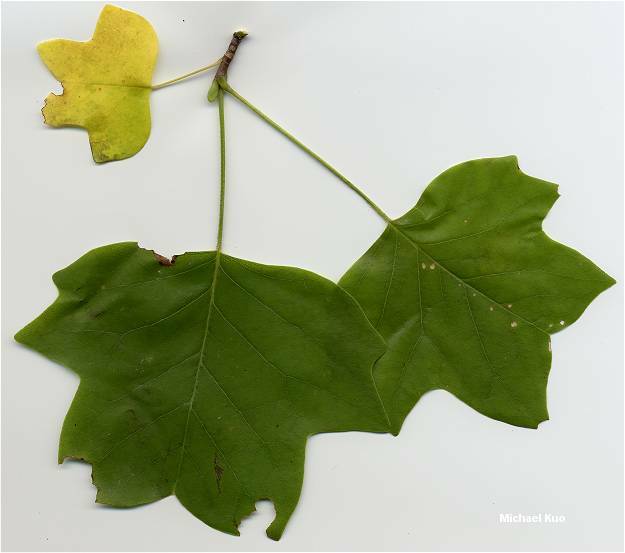 Tall, straight tree; mature bark cut into X-shapes but with blunt ridges; leaves with four broad lobes; growing east of the Mississippi River. 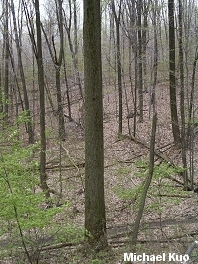 Habitat: Typically mixed with other hardwoods; growing east of the Great Plains. Stature: 80-100 feet high; to 6 feet in diameter; crown variable; branches large. The tallest hardwood native to North America, reaching heights of 200 feet. 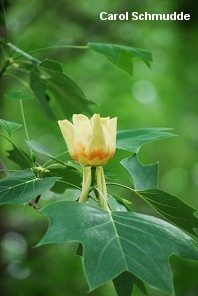 Leaves: 4-6 inches long; with 4 broad lobes (the shape of the leaf looks like a tulip; hence the tree's common name); dark to pale green; smooth-edged; stems 5-6 inches long. 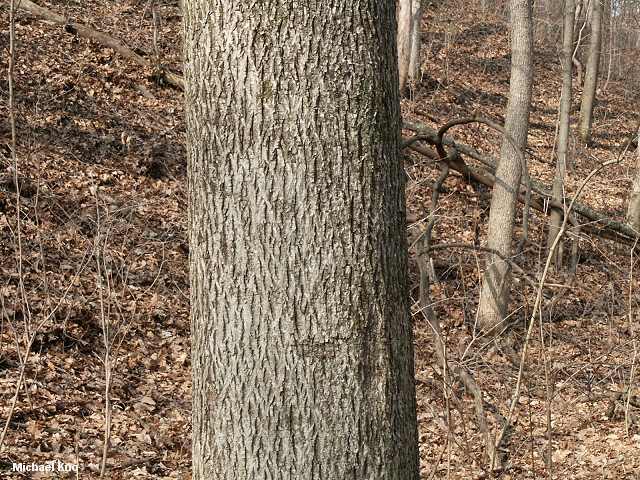 Bark: Gray; fairly smooth when young but soon becoming cut into X-shapes (or "diamond shapes," depending on your perspective) that have blunt ridges (as though someone has buffed the bark of a white ssh tree). Fruit: 2-3 inches long; conelike; with spirally arranged scales that break away and litter the forest floor. Morchella deliciosa; Entoloma vernum; and many others.